JBJ�delivered their final goodbye messages as the group's activities came to an end. 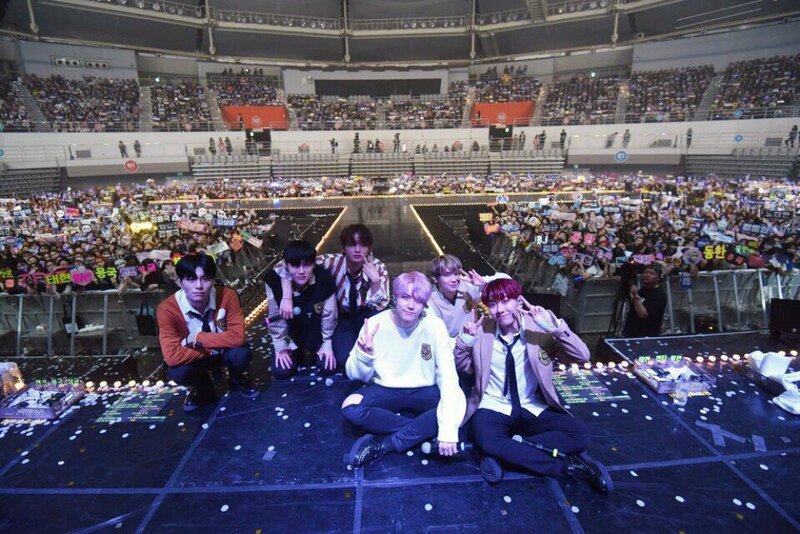 On April 21st and 22nd, JBJ held their final concert, 'Really Desirable Concert - Epilogue' in front of thousands of fans at the SK Olympic Handball Gymnasium. As they wrapped up the concert(s), it was time for them to bid their farewells to all the fans who've continued to support them from start to finish. JBJ huddled together before thanking the fans one by one and walking off the stage. While doing so, fans continued to chant "Thank you" for all the great music and time they've given to everyone. In the videos below, you can hear the members choking up with tears and trying to stay strong in midst of the difficult time, and looking back one last time as they stepped off the stage. Thank you for the memories, JBJ.